Thank you very much for visiting CELCOM, inc.
We are a Japanese company established over 45 years ago involved in manufacturing and sales of our own original physiotherapy equipments. We, Celcom,inc. 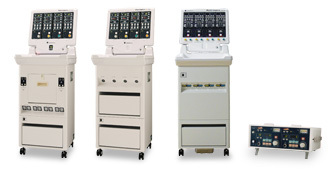 have received the certificates for those Topra series from Ministry of Health,Labour and Welfare, Government of Japan, stating that those topra series Low-Frequency Therapy Units are manufactured under the supervision as stipulated in the Pharmaceutical Affairs Law of Japan and certified by Registered Third Party for marketing in Japan Market. For detailed information of those products, please access to the each product.